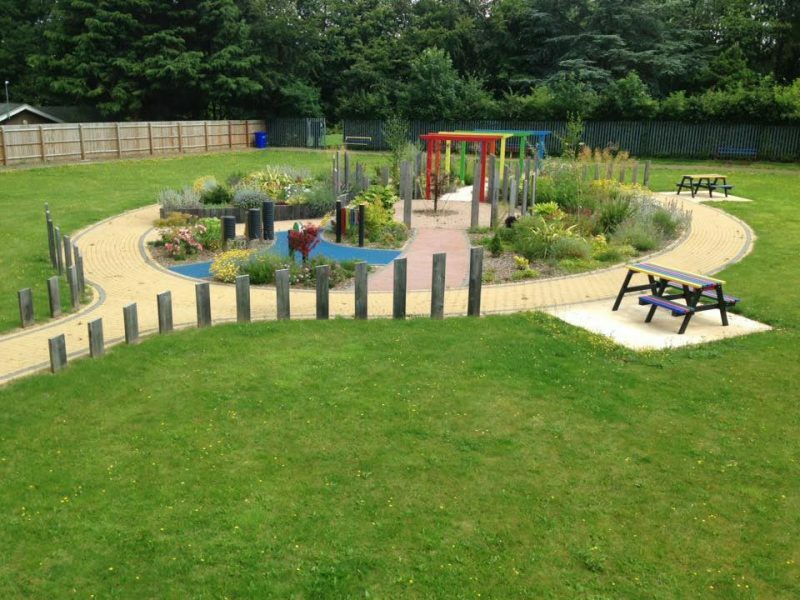 When a local community group wanted to get this sensory garden project underway they had little else than just their enthusiasm to create a special sensory garden for Corby’s jewel in it’s crown – Coronation Park. 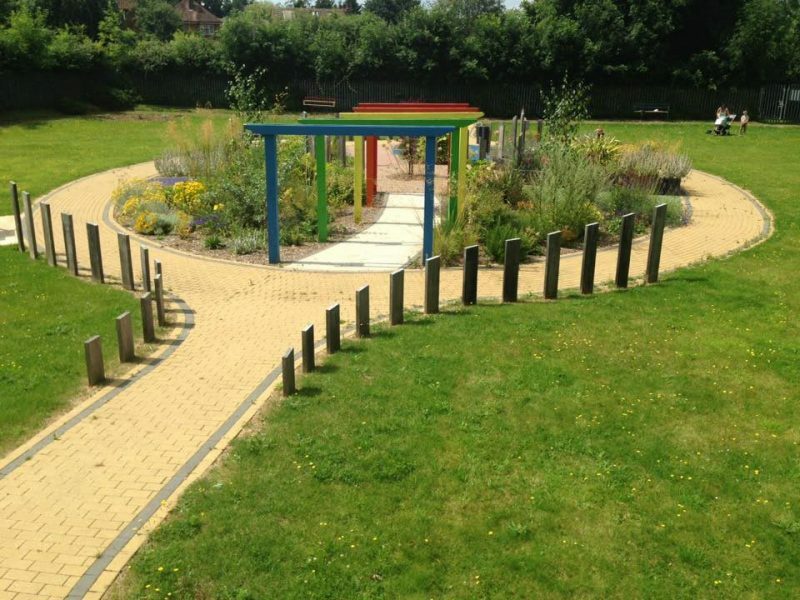 The community group ‘The Friends of Coronation Park’ had no access to funding and had been struggling to get the project off the ground for over 2 years. 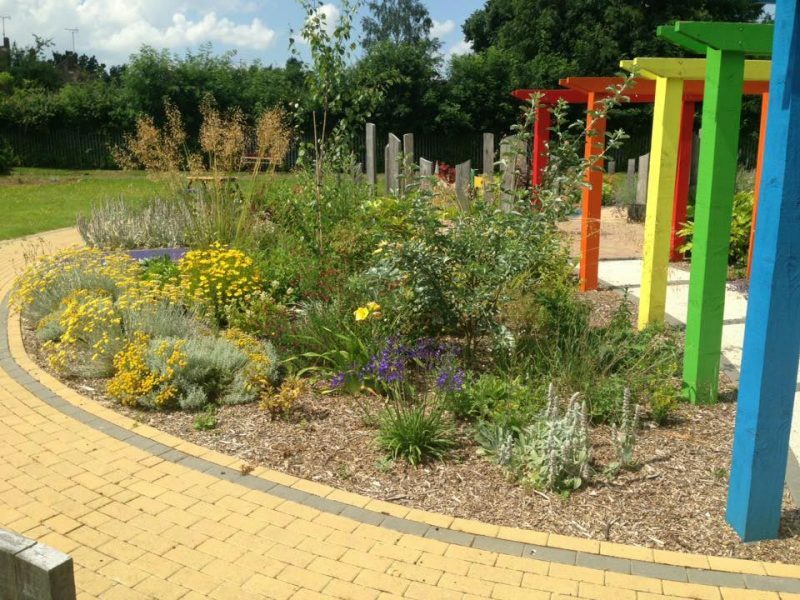 The employed the design services of Gardens for Good in order to create a vision for the project to help drive it forwards, the results were beyond anyone’s wildest expectations! 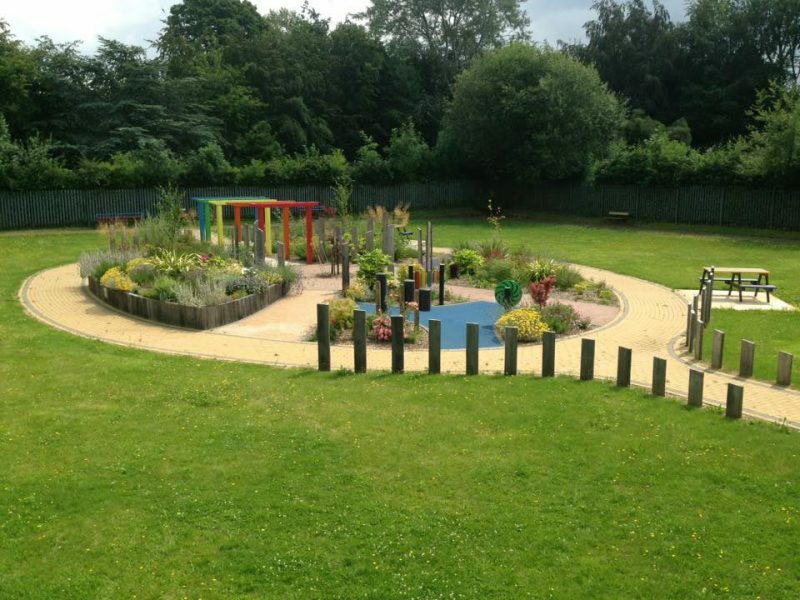 Following an initial meeting with The Friends, Joe created the first concept sketch which they embraced wholeheartedly and, on sharing this with the local community and general public the project soon gathered momentum. 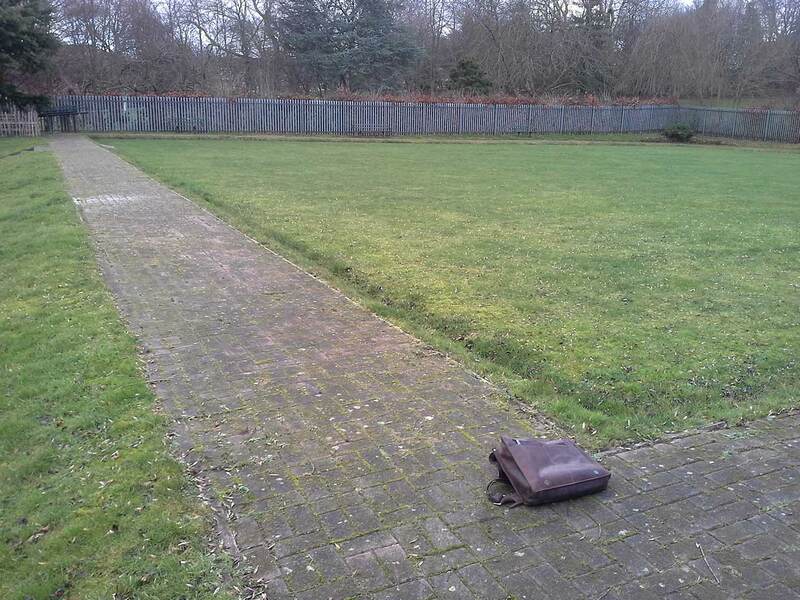 On seeing the plans for the garden, the council promptly offered up one of the disused bowling greens, which proved to be the perfect location in the park. 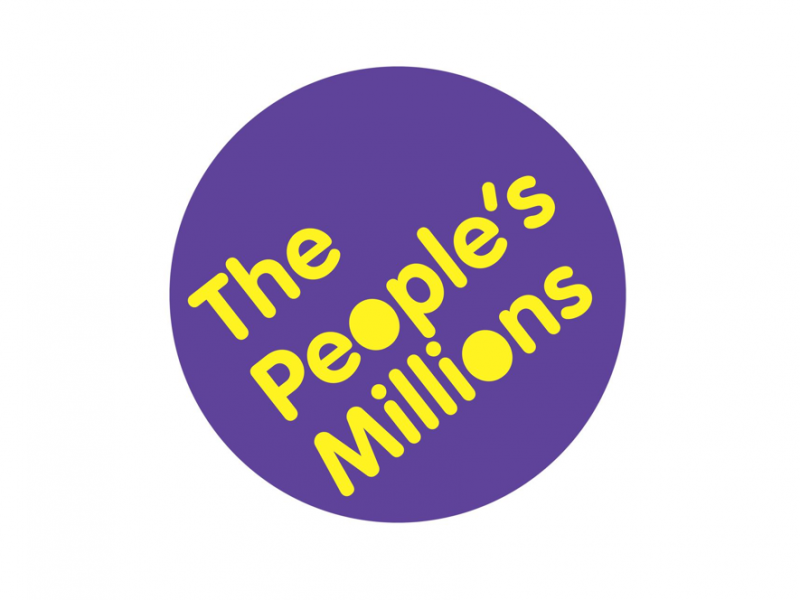 Then embarking on a tireless PR exercise, the Friends group and Gardens for Good entered several charity schemes including the Peoples Millions Lottery Fund, which they won the award for out of 8 other very worthy projects. 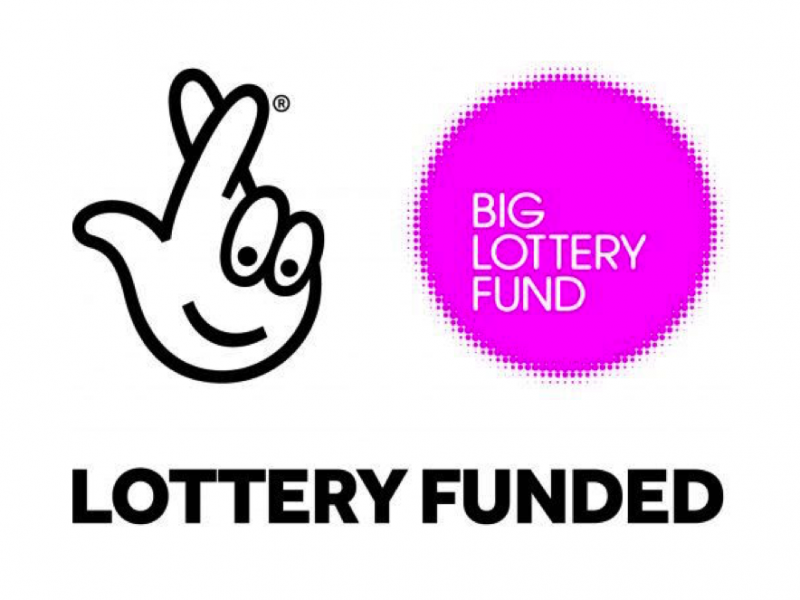 The grant of £50,000 provided by the Peoples Millions enabled the build phase of the project to get underway. 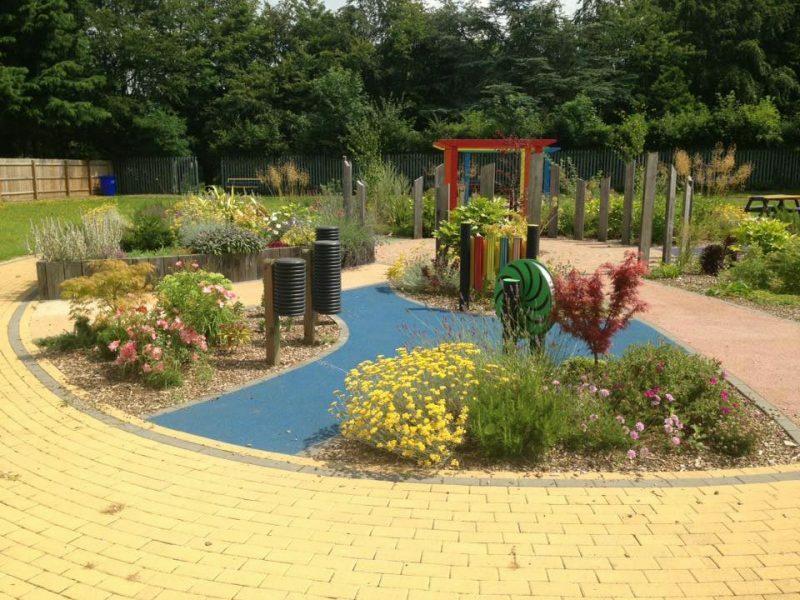 The works were planned with meticulous detail to ensure the garden could be created on budget, which was not an easy task considering that lengthy access paths had to be created to provide access from both sides of the park. 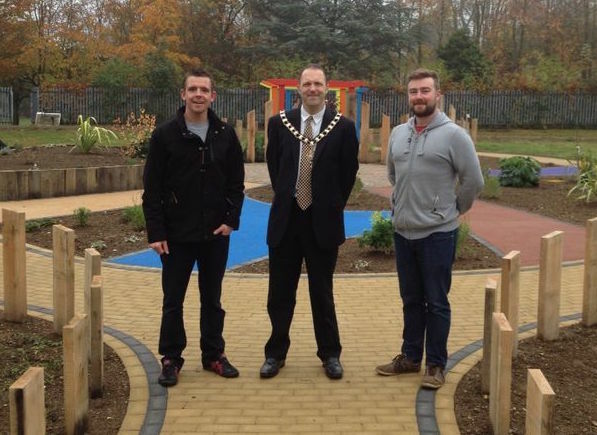 Finally volunteers came in to help plant the bed and some benches were kindly donated by local businesses. 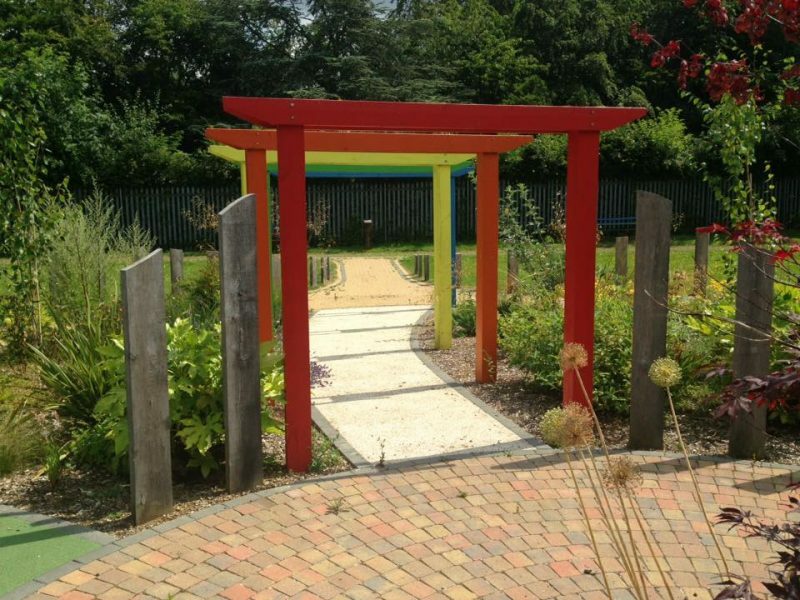 The Sensory Garden has now been embraced by the local community and is looked after by a group of dedicated volunteers. Visitors come from far and wide to enjoy the incredible sensory experience that is to be had in the garden, including the vibrant colours, the diverse scents from the flowers and plants, the incredible variety of textures both to the touch and under foot, not to mention the musical tunes created on the instruments in the ‘sound zone’! The park is open every weekend for the public to enjoy so please, if you’re ever in the area, head on down and enjoy it for yourself.